More people are hitting the eBay auction block to buy and sell their wares, and they're using PayPal to complete those online transactions. EBay (EBAY) reported third-quarter earnings per share that beat Wall Street estimates by a penny and said they have 14% more active users over last year. Investors said buy, buy, buy to the stock Thursday, sending its shares up more than 4%. Several Wall Street analysts did too. StockTwits lit up with comments. eBay's PayPal unit was one of the brightest spots in eBay's earnings report, with revenue shooting up more than 20% from last year's third quarter. 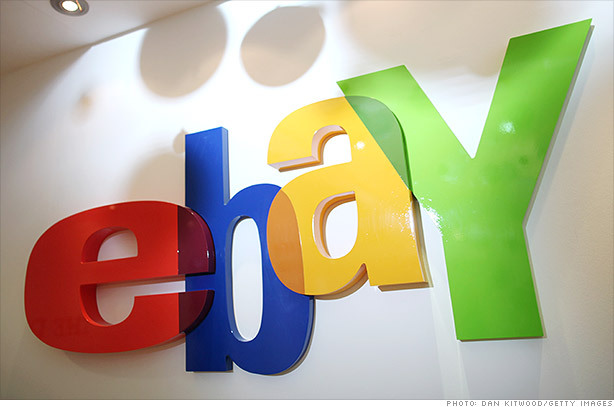 Ahead of eBay's earnings, company executives had announced a redesign and a new logo. But at least one trader was skeptical that would be enough to lure consumers back.